What’s New in Android P (Pie)? Google’s latest version of Android is loaded with advanced and top-notch features and is ready to surprise its fans. This year has already been declared as the year of Android version 9.0 which is also called as Android P which stands for Pie. This Android version is the smartest and fastest of all the versions and easily adapts as you start using it. It features the power of artificial intelligence and makes your apps more compatible than ever. Android was first released 10 years back and now it is as advanced and intuitive as Apple’s iOS. 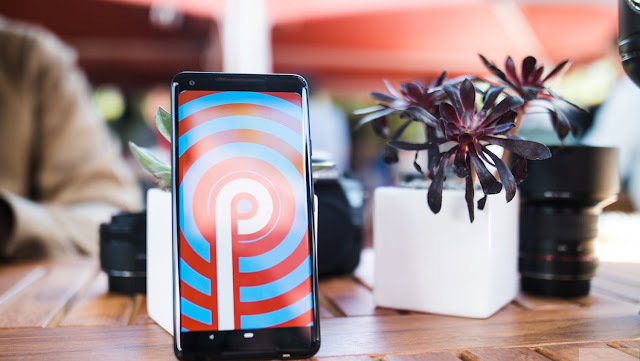 Android P is now found in many flagship phones and is already getting popular due to its advanced and top-notch features. I want to check out the latest prepaid SIM only mobile plans that features Android P, you can try the Samsung Galaxy S9 or Pixel 2 XL from TeleChoice. If you think you spend too much time on your smartphone, you are right because you actually do. However, Android P will help you stay connected and manage your time which is spent uselessly on the phone. The ‘digital wellbeing’ feature of the Android Pie will set limits on your time spent on mobile. There is a Wind-Down feature which turns on another ‘Do not disturb’ feature which starts fading the mobile screen and reduces the blue light as soon as bedtime approaches. The dashboard of this feature also shows how much time you’ve spent on each app and allows you to set timers too. The biggest change that the Android OS has seen with this version is that the little square at the right-hand corner has disappeared. Now there is a long pill shaped icon present at the center-bottom of the screen and it represents the home button. You can view the recent apps by swiping up and swiping on the right of the home button will allow you to switch apps. Android Pie uses an adaptive technology and it learns through your habit of using apps. The OS will analyze how and why you use your apps and then give suggestions accordingly. For example, it can suggest where you left while you were listening to music or notify you if you have an unprocessed transaction. The App Actions feature works on the prediction method and give you suggestions according to the time of the day. This is a smart upgrade of Android P and it has changed the way of taking screenshots. The previous method of taking screenshots is a bit daunting but this Android OS offers an easy method. You just have to press hold the power button and select the screenshot option that appears on the screen, and voila you’re done saving a screenshot. Another new and useful feature of Android P is of the adaptive battery. This feature prioritizes the apps according to your app habits so that lesser battery is drained out of the phone. This can save a good amount of battery and improve the battery life altogether. As far as prepaid mobile plans go, you have the option of choosing some flagships with Android P. Do check them out. How to Evaluate Mountain Bike Options? How to Revive an Old Couch? How to Evaluate a Web Design Company?